This presentation will look at the characteristics of the global stainless steel market over the previous year with a regional focus on the US, Europe and Asia. It will examine market fundamentals and the impact that certain developments had on pricing. 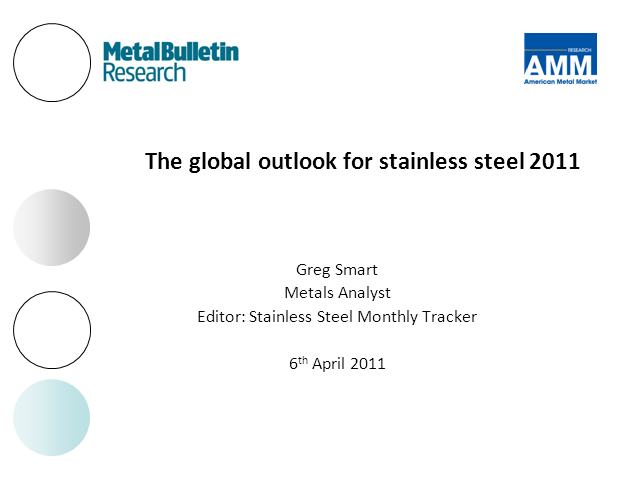 It also will give a brief overview of the stainless steel raw materials markets before concluding with an outlook and forecast for 2011.